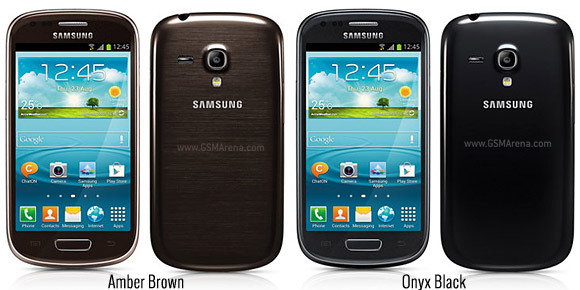 A few days ago there was info that the Samsung Galaxy S III mini will be getting new colors and today it's official. The new colors are Garnet Red, Onyx Black, Titan Gray, and Amber Brown (which the earlier info missed). That's in addition to the original Ceramic White and Pebble Blue. 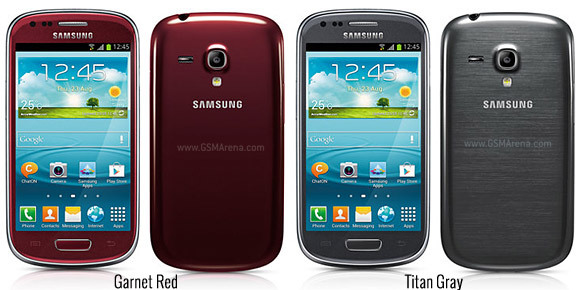 With these new colors, the Galaxy S III mini has the same color options as the full size S III (well, except for the La Fleur special edition). The new colors are available only on the French Samsung site for now, they are not available in the UK, Spanish or German sites, for example. The Taiwanese site (the original info came from Taiwan) has a picture of the Garnet Red version, but there's no trace of the others. We suspect it will take a bit until Samsung updates all its sites and then a while longer before the new color versions of the Samsung Galaxy S III mini become available in stores. on "samsung croatia", croatian web site there are all of these colors !!!! 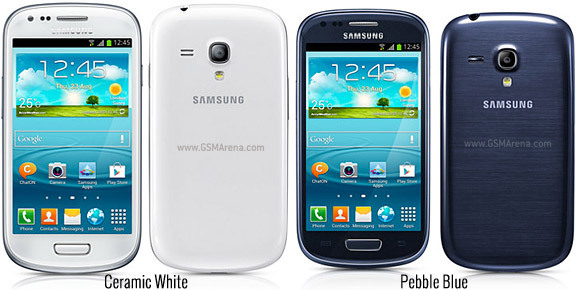 When is the launching of s3 mini& is this in affordable price?